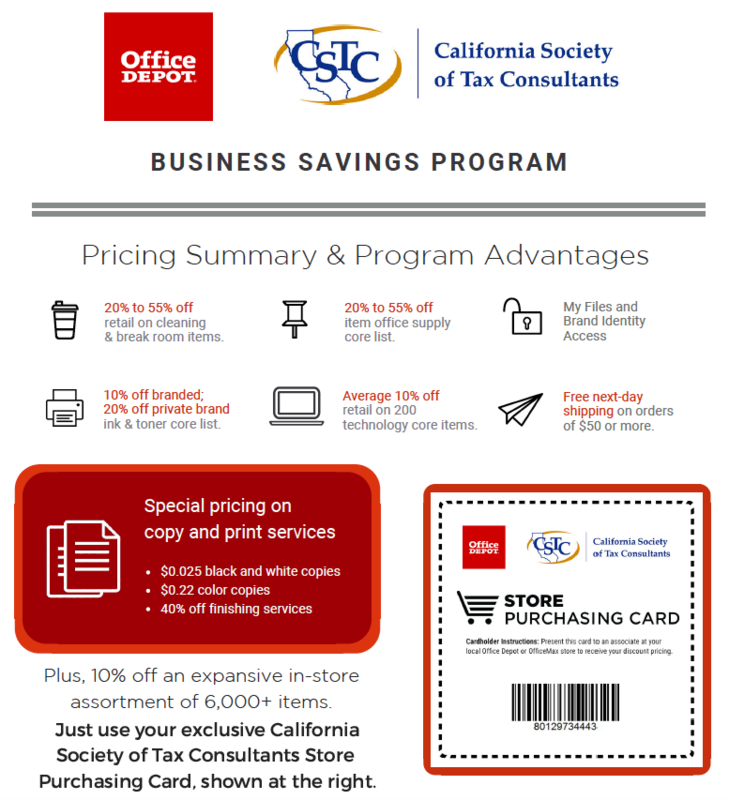 Office Depot has partnered with us to provide exclusive savings in-store and online, plus fantastic additional benefits. 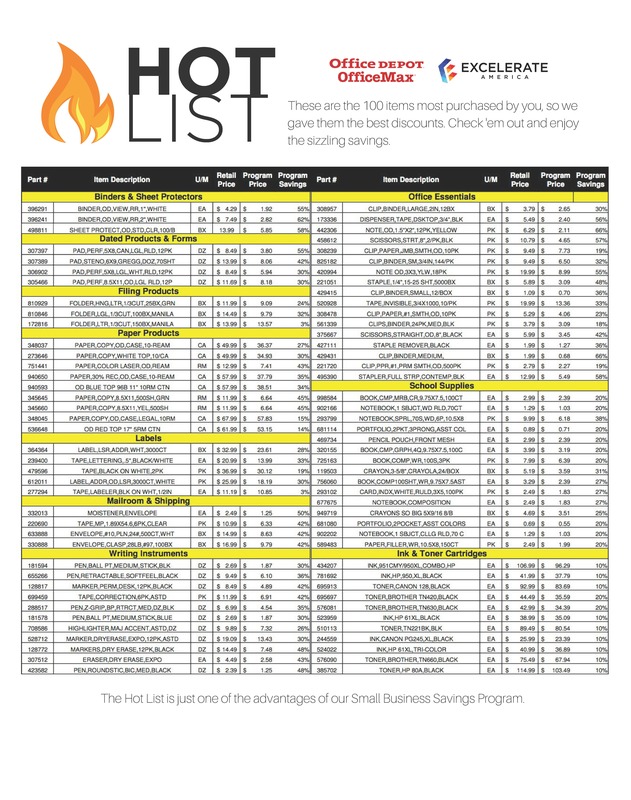 The new program is all about providing preferred pricing to our clubs, and the savings extend to almost every item. It also offers more than just a discount, with additional benefits including preferred customer assistance with Office Depot’s team of local Business Pros and access to Office Depot’s new suite of technology services designed to help your business thrive. You’ll also get access to Office Depot’s new technology services, local Business Pros and more. Savings include 20% to 55% off item office supply core list, 20% to 55% off retail on cleaning & break room items, 10% off branded; 20% off private brand ink & toner core list, Average 10% off retail on 200 technology core items, Free next-day shipping on orders of $50 or more, and SIGNIFICANT savings on copy & print. 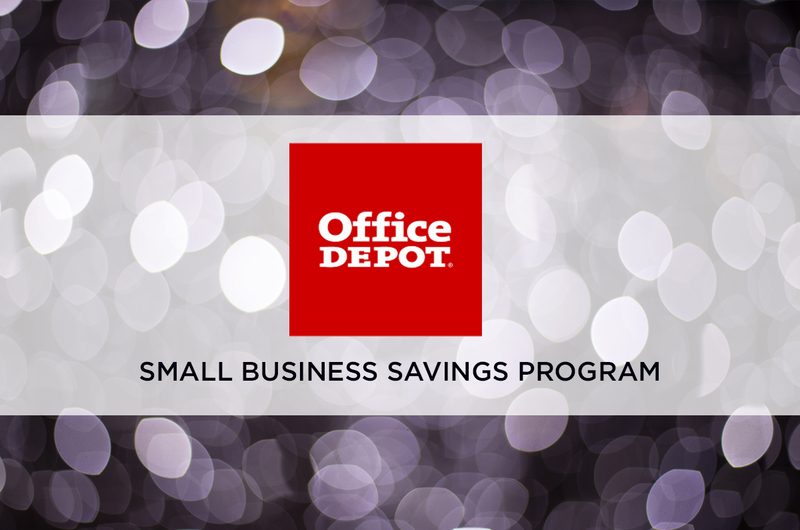 Become a CSTC member to sign up for our Office Depot Small Business Savings Program, administered by Excelerate America.